Social media marketing at scale requires engagement at scale and few organizations do a better job social media training their workforce to engage en masse than Dell Computer. The PC-maker’s Social Media and Community University (SMaC) has already social media trained thousands of employees from virtually all segments of the enterprise. Whether you’re a social media manager or shipping and receiving clerk, Dell has a social media course that’s right for you. 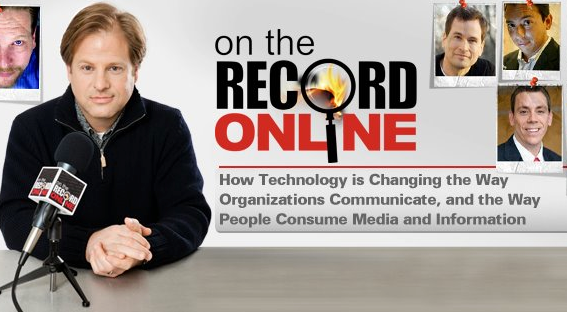 In this special episode of the On the Record...Online podcast social media training specialist Eric Schwartzman(@ericschwartzman) and former Director of Social Media & Community at Dell Liz Bullock (@lizbbullock) go beyond social media marketing to discuss the practical aspects of driving enterprise wide adoption through social media training, social media courses, Twitter training, SEO training and more. There may not be any organization with more experience implementing a custom social media training program for the whole company than Dell and this discussion drills down on the reasons behind the decisions that led to the social media training they currently have in place.